The ensemble Cannamella was founded in 2004 by Aline Hopchet and derived its name from an Old-Italian word for a piece of liquorice, but also for a small reed pipe. This fact nicely characterizes the two to seven-headed ensemble based on recorders and double reed instruments. 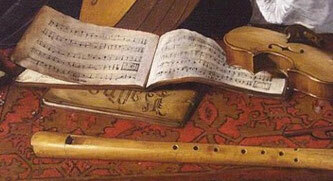 Cannamella performs the lesser known repertoire from the 16th, 17th and early 18th Centuries. Original programmes, seasoned with freshness and enthusiasm are the ingredients for the musicians’ passion. Cannamella started off with the projects ‘The Vision of Delight’ (Ayres and masks at the English court) and ‘Quanto dolce è quell’ardore’ (Italian virtuosity in the Baroque era). The programmes ‘Blomhofken van Cupido’ (Cupids flowered garden) and ‘Cantiones Natalitiae’ highlight the charms of 17th Century music from Antwerp and Brussels. 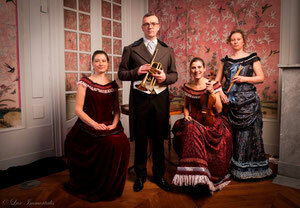 The latest projects are 'Het geheimzinnig almanakje' and 'Haendel in the pocket'. Time and again we gratefully find our inspiration in archive research and in the contacts with audiences and organizers, for embarking on yet another musical adventure. 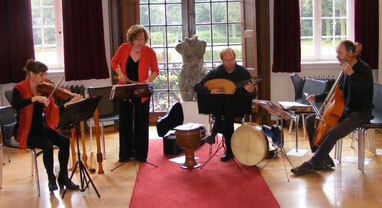 A first CD recording with songs and instrumental music of 17th Century Brussels was released in 2011: 'Ik ben getrouwd met een kwaaie Griet' (Davidsfonds). Should you wish to purchase this CD (20 euros + shipping? ), please contact us. Pantalon, Été, Poule, Trénis, Pastourelle… These were the top hit contra-dances in 19th Century London and Paris! These compelling quadrilles resounded in drawing rooms, ballrooms or gardens, usually alternated by overtures, waltzes and variations on well-known opera melodies. Performed by small and large orchestras, these tunes added gaiety to the numerous dancing parties and promenade concerts. 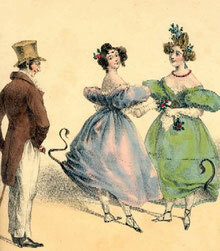 The ensemble’s somewhat frivolous name Les Pantalons was taken from the first quadrille figure, the‘Chaîne anglaise’, which around 1830 was renamed ‘Pantalon’. The occasion for this was king Louis-Philippe’s consent to wear trousers at official balls instead of the customary knee breeches and white socks - initially to the great merriment of his invitees. Les Pantalons would like to bring this ball and drawing-room music back to life with contemporary arrangements for small forces. Light pieces with colourful titles like ‘Les Abeilles’, ‘Le Rataplan’, ‘La Somnambule au Bal’ and ‘Le Diable Boiteux’ are performed with sense of humour and virtuosity and take the audience on an exploratory expedition to the typical instruments of those times: the flageolet, the cornet à pistons, the violin and the square piano.